Should retailers create their own consumer electronics? Voracious consumer appetite for smartphone and tablet mobile devices makes the UK currently the world’s third largest smartphone market, according to market research firm IDC. And the success of Carphone Warehouse certainly bears this out. The telecoms group highlighted particularly strong UK contract sales in its last quarter ending 29 June. Posting an increase in like-for-like sales of 10.6%, its total connections were up 6% to 2.1 million. The telecommunications retailer, which specialises in combining hardware, connections and services, operates 2,377 stores across eight European countries, 785 of which are in the UK. With such a large estate, ongoing investment in high quality and well-trained sales consultants is essential. The fast-moving development of mobile and cloud computing technologies make it ideally placed to benefit from the growth in smartphone and tablet adoption, as well as other areas of consumer technology. But now, in line with its core market and a number of other High Street retailers, Retail Technology has learned exclusively that is rolling out its tablet devices to its own store staff. Paul Scullion, head of business intelligence (BI) at Carphone Warehouse, revealed the roll out during an interview at the end user conference of BI software company, MicroStrategy. The retailer has been a MicroStrategy user for some time now and the work to mobilise store staff represents the next stage in development of an information sharing strategy driven by sophisticated key performance indicators (KPIs) that is designed to support all of its people more effectively in their operational and customer-facing roles. As far as the Carphone Warehouse BI journey is concerned, Scullion reported: “In terms of the dashboard work we’ve delivered, I would say we’re quite advanced. The next step is how we can deliver that globally, across all of our business areas and build out a ‘self-service’ vision.” But the company operates within an extraordinarily complex and competitive, not to mention fast-moving market. In addition to mobile phones, the company’s expansion into other areas of technology means it sells laptops, netbooks, tablets, music and gaming products plus a host of other technology products through its stores and online. As consumers become evermore price and value sensitive, and are aware that when they buy a tablet, for example, they might be able to find a promotion that gives them the right data bundle too, or vice-versa, so Carphone Warehouse has a wealth of sales information to help shoppers choose the best deal for them. It has to decide which products to sell, how to sell them competitively in a low-margin, price sensitive environment, and how to carry out sales within its stores, some of which are quite small, and staffed by people more familiar with selling mobile phones. Given the nature of the cost driven UK market and the opportunity that affords the retailer to offer promotions when it comes to buying the latest smartphones, tablets, laptops, broadband or gaming products, it would seem Carphone Warehouse is already excelling through its sales execution and customer service. But Scullion’s report demonstrates the retailer is certainly not resting on its laurels. Instead, with eMarketer finding 40% UK tablet sales growth this year compared to last year, it is preparing to embrace this emergent form factor as part of its store operations. “We’re about to launch MicroStrategy Mobile as part of a tablet roll out programme that is going to put more information into the sales consultants’ hands in every branch,” Scullion told Retail Technology. “They can use it as a point-of-sale or demo tool for finding the tight tariff mix for the customer. The great thing is that consultants will be able to inspire customers over tablets, meaning we eat our own dog food.” The project will not only put state-of-the-art technology at the fingertips of those selling it to consumers and so improve service, but it will also support better-informed business decision making. The roll out was due to begin this summer. But it is not the retailer’s first BI store deployment. “The first was web-based and only for branch managers,” Scullion said. This has given it the confidence to proceed with the staff tablet roll out, where “the KPIs are similar, it’s just a different presentation layer and dashboard,” he added. 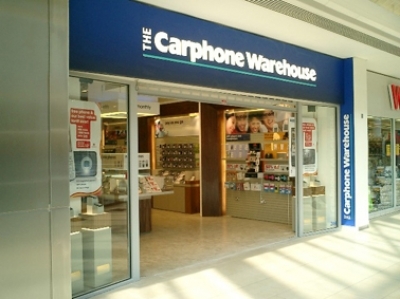 RetailTechnology.co.uk first covered the first Carphone Warehouse BI store deployment almost a year ago (Carphone Warehouse rolls out BI software, 27 August 2012). The company has benefitted from improved store performance and customer marketing with the initial deployment to its entire UK store estate ahead of a wider European roll out. At the time, it was capitalising on efforts to improve legacy reporting capabilities and support new store formats. But the BI investment dates back to 2010, when the company began trialling a new store format with live devices and interactive areas, an extended product range and improved placement of a wider range of accessories. It also began overhauling its reporting tools, using IBM Netezza as the data warehouse and MicroStrategy for analytics and reporting. It also carried out a review, which determined the initial focus of the BI roll out after finding its key business areas with a high dependency on reporting were retail KPIs and marketing. Customer marketing is another key business area with high dependency on reporting. With an operator shift towards 24-month contracts for more sophisticated, full-featured smartphones and tablets, Carphone Warehouse used to have limited engagement with customers during this period. It used its new BI systems to replace a number of legacy reports and locally maintained customer databases and develop a new marketing dashboard to combat this issue. After an initial pilot within the group customer marketing function, it is now live in all eight European territories. Scullion said that before MicroStrategy it was difficult to customer gauge satisfaction levels. This was, “whether they were a Carphone Warehouse customer or a network customer or when a customer reaches the end of their network contract, do they come back to Carphone Warehouse?” And he confirmed at this year’s user conference that the MicroStrategy dashboards being used are providing greater insight into this side of the business than ever before. Scullion said that retailers should be prepared to look at different business areas for relevant data. “We then work with the data warehouse team to bring a new dataset in,” he added. He also said Carphone Warehouse was a “mature” data warehousing technology user, having now used its Netezza data warehouse alongside extract, transform and load (ETL) technologies from Informatica with a “hierarchical approach” to drive its BI projects for some years now. In the immediate future, Scullion was not able to confirm which tablet device would be used in the store consultants’ roll out. But he did say it would Android based, adding that the choice of tablet operating system, “involves no added complexity as far the MicroStrategy app development is concerned”. Another important consideration aside from the technology or processes being optimised, are the people, who play a vital role in any BI deployment. When the BI Leadership Forum polled 234 executives last year, the number one challenge of self-service BI that emerged among 71% of respondents was that it requires more training than expected. But Scullion observed that engaging the business directly in any form of BI engagement was a prerequisite to its success. “A case in point is that I don’t work for IT, but for the business – my line of business is finance,” he said. “There are third parties that think about the architectures. My role is to act as a conduit to deliver the dashboards. I’ve seen it done more traditionally, but think there’s a need for somebody with business acumen driving development, otherwise the traditional waterfall approach to development would be too slow.” He added that Carphone Warehouse sees its approach to development as, “agile, with a small ‘a’”. After going through this iterative cycle a few times, Scullion said the benefit of garnering feedback throughout was that the business people engaged with the process feel they had a part in developing the dashboard. “They become advocates for it with other end users and their peers,” he added. And the company has taken care to design its new consultant dashboard to be intuitive. “If you can use our website, you can use our dashboard,” he concluded. And soon Carphone Warehouse customers should be able to see, feel and touch the benefits of better informed staff – coming soon to a store near you. This cover story is reproduced from the Autumn 2013 issue of Retail Technology magazine. Click here to subscribe to the print edition or register for the free e-version.